I got a new tooth! 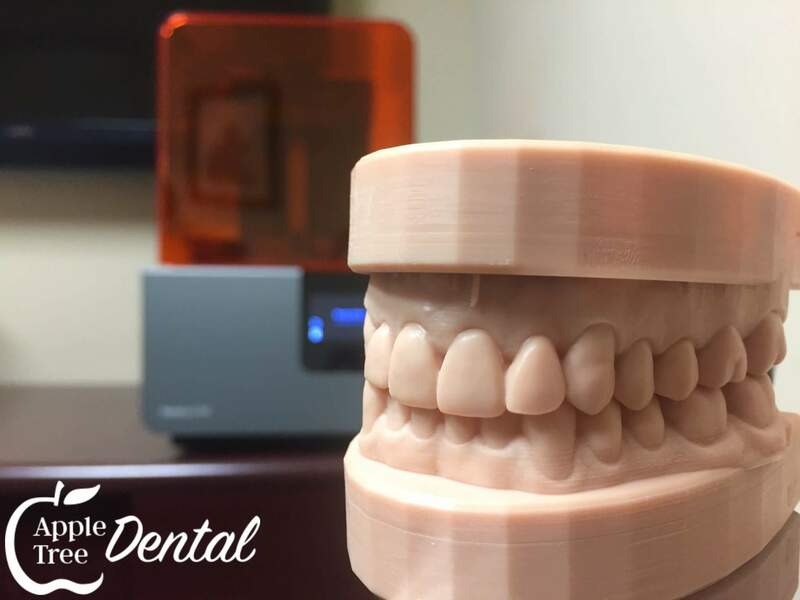 How do a 3D printer, digital scanner, x-rays, computer and a dental implant all come together to make a new tooth? Hold tight, I am going to show you how! You’ve lost a tooth? No problem, it happens all the time. It used to be that people believed they would eventually lose all their teeth and ultimatley need dentures. That’s not the case anymore! As a dentist, I’m able to do a lot of things to help you keep your teeth. From time to time it does happen that we must remove a tooth and look at replacement options. One of the best options you can ask us for is a dental implant. So how does a dental implant work? An implant can be made of various materials, but is most commonly a titanium fixture that will heal into the bone. An implant becomes like the root of any natural tooth once it’s integrated into the bone. Implants have threads in them and can look like a screw. After healing occurs I can put a tooth on the implant that will feel just like any other natural tooth. Best of all, when it's all done you don’t have a gap, a black hole or food trap, but a normal natural looking tooth! Here is the fun part! For years dentists have successfully placed implants but there is a certain degree of risk in doing so. With the latest updates in technology I have learned an even safer way to do it. 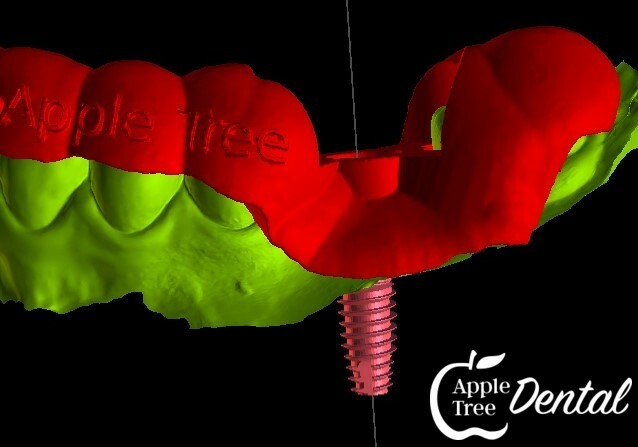 With a 3D x-ray I can virtually plan exactly where the implant will go, what size it should be, how far down, etc. One of the biggest concerns when placing an implant is trauma to the nerve of the lower jaw. Any nerve trauma could lead to a tingling sensation, burning, or even permanent numbness. Using the latest in technology I can place an implant without any chance of nerve trauma. Remember the old goop you would get when dentists took impressions? Well we don’t do that anymore. We have a camera that takes a digital impression of your teeth. 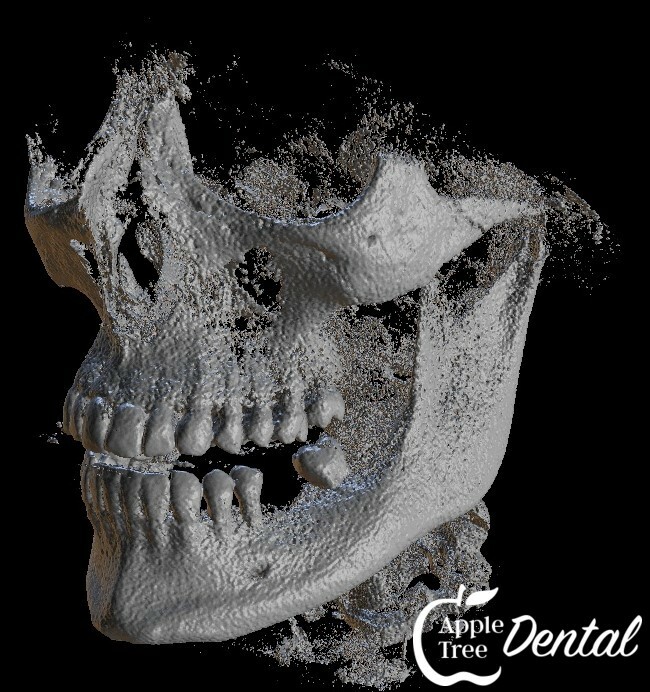 Within a couple minuets we can take a digital impression of your teeth and have an accurate model. I take the model and merge it with the 3D x-ray which is then perfectly adapted. I perform a virtual surgery and place the implant exactly where it shoul go, keeping in mind the location of the nerve and keeping a safe distance from it. Perforations through the bone also used to be a common problem. With my virtual surgery I can ensure that all sides are solidly in bone. 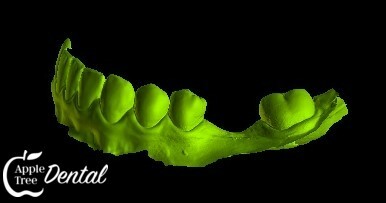 Left: Digital impression merged to teeth. Middle: Virtual surgery ensuring safe distance between implant and nerve. Right: Virtual surgery from a side view ensuring safe distance to nerve and no bone perforation. After the virtual surgery all that is left to do is create a surgical guide that will guide the perfect placement. This is where the 3D printer fun is! The surgical guide is printed out of a hard-biocompatible resin. 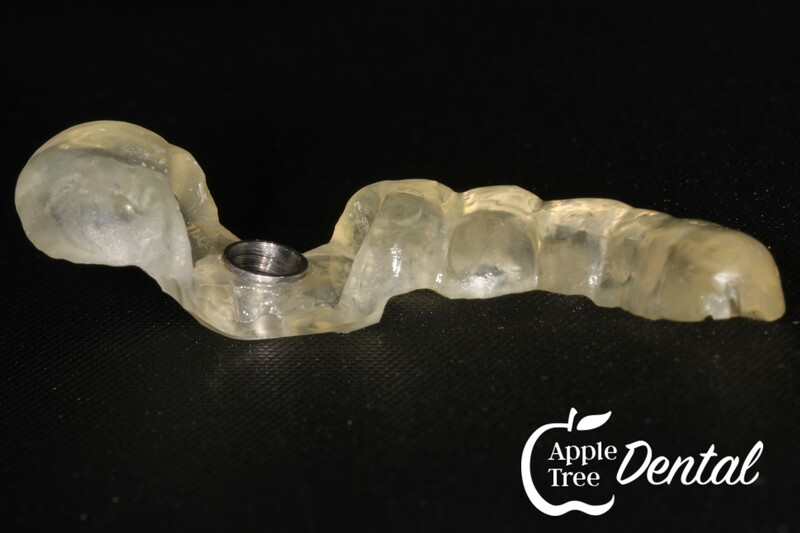 With the 3D printer you can print all sorts of things, but we mostly use it for implant surgical guides and tooth models. Finally, comes the day of implant placement. Having prepared everything beforehand, the surgery is a breeze! A single implant can be done in about 30 minutes. 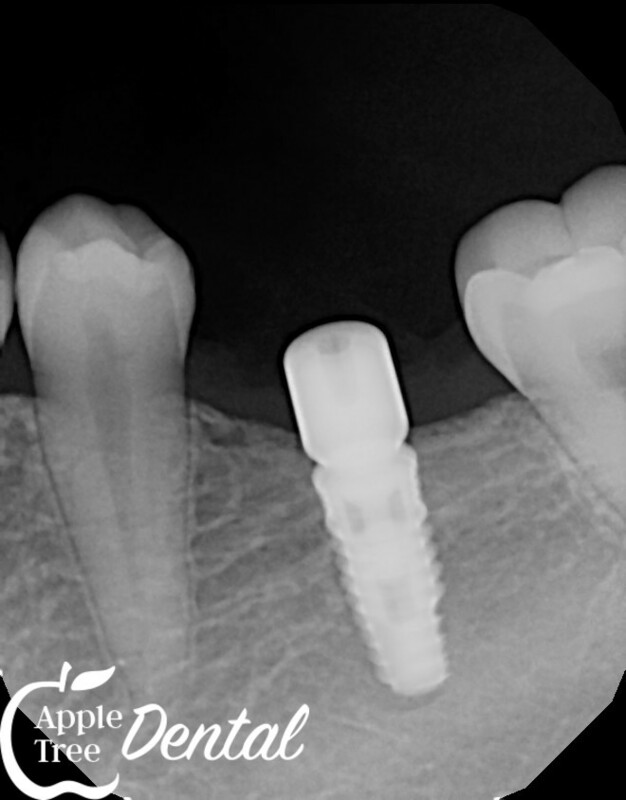 This creates maximum safety for you and minimal pain and swelling after implant placement. Want to learn more? Come by the office, and we're happy to show you how it all works!